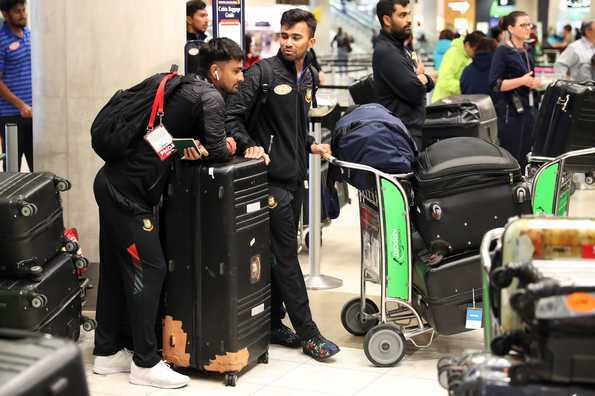 New Zealand have called off their Under-19 tour to Bangladesh with mutual agreement between the boards, who believe an age-group team travelling to Bangladesh post the Christchurch shooting which the visitors’ cricketers escaped marginally would be insensitive and inappropriate. The five-match youth one-day tour was that was scheduled to begin on April 16, was called off a day after a postponing of it was announced, with the cricketers still recovering from the trauma of the shooting. NZ Cricket chairman Greg Barclay, in a statement on Monday (April 1) said: “We have conveyed our deep sense of regret over the circumstances leading to this mutual decision, and the BCB have been both understanding and generous in response. He, however, said that the countries will play bilateral series across all levels, which would kick off with Bangladesh’s U19 team travelling to New Zealand this coming September. Windie A tour to Bangladesh also has been cancelled due to financial crisis, Cricbuzz has learnt. The visitors were scheduled to play three four-day matches and five one-day games. “West Indies ‘A’ team was slated to visit Bangladesh in the upcoming month but they informed us that they will not come to play the series because of their financial crisis,” a BCB official confirmed to Cricbuzz. BCB chief executive Nizamuddin Chowdhury, however, refused to reveal the real reason for the cancellation of the tour. “They have got some internal problem and it is not wise on my part to disclose it. A board can face some kind of crisis at certain point of times and it can happen to any board and we should not judge them on this basis,” he said.